Isauro Aguirre (left) and Gabriel Fernandez (right) are seen in undated file photos. 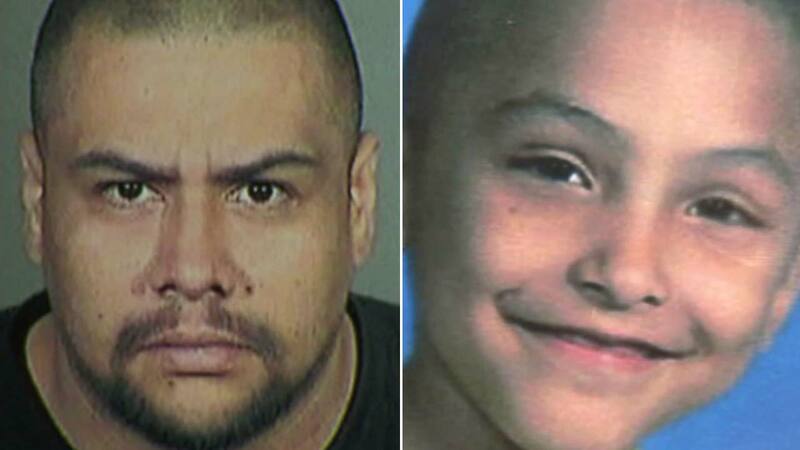 LOS ANGELES (WPVI) -- A Palmdale, California man has been found guilty of first-degree murder in the death of his girlfriend's 8-year-old son. Isauro Aguirre's fate was announced on Wednesday afternoon. KABC-TV reports, the jury found him guilty of first-degree murder and also guilty in the special circumstance allegation of murder involving the infliction of torture. This count makes Aguirre eligible for the death penalty, though jurors were explicitly instructed not to consider potential penalties. Wednesday was the second day of deliberations in the case. Deliberations on Tuesday ended early because two jurors had personal commitments. The seven-woman, five-man panel deliberated for a total of around 5 1/2 hours before reaching its decision. Deputy District Attorney Jonathan Hatami called Aguirre an "evil" man who "liked torturing" the boy and did so systematically in the months, leading up to the child's death in 2013. Aguirre hated the boy because he thought he was gay, according to the prosecutor, who began his closing argument by displaying a photo of Gabriel's battered body lying on an autopsy table -- covered in injuries head to toe -- as evidence of Aguirre's intent to kill the boy. Defense attorney Michael Sklar admitted Aguirre is guilty of beating the boy but argued that the death was accidental. In his closing arguments, Sklar told the jury that Aguirre "acted in a rage of anger followed by an explosion of violence" and not with the deliberation and premeditation required for a verdict of first-degree murder. Sklar said Aguirre tried to save the little boy and cried after confessing to hitting the boy 20 times. Gabriel's mother, Pearl Fernandez, is also charged with murder and will be tried separately. Prosecutors are seeking the death penalty against both Aguirre and Fernandez.